Former NFL player Aaron Hernandez has been charged with a 2012 double murder, while still facing a previous murder charge. Prosecutors say Aaron Hernandez drove up alongside the vehicle of two men with whom he had a “chance encounter” at a club earlier and shot and killed them. Aaron Hernandez was arrested last June for allegedly killing Odin Lloyd, a semi-pro player found near his home. His lawyers did not have any immediate comment on the new charges. But last August, lawyer Michael Fee, speaking about the Odin Lloyd murder charges, had said there had been “an incredible rush to judgment in this case”. On Thursday, Suffolk District Attorney Daniel Conley said Daniel de Abreu and Safiro Furtado, the victims in the 2012 shootings, were “ambushed and executed” as they were driving in Boston, Massachusetts on July 16, 2012. Daniel Conley says they and Aaron Hernandez had had an “encounter” at a nightclub earlier in the evening and the former NFL player was the gunman. Those details mirror the alleged motive in Odin Lloyd’s death. According to authorities, Aaron Hernandez and two friends picked up Lloyd at home in the early hours of June 17, 2013. 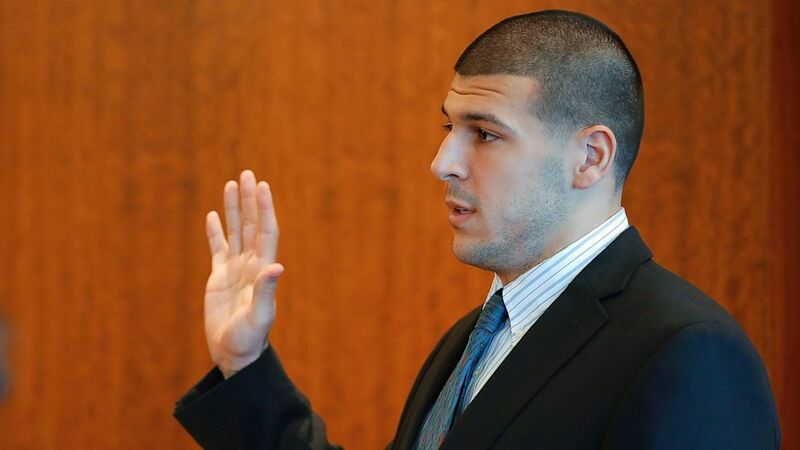 Aaron Hernandez allegedly told Odin Lloyd he was upset about an incident at a nightclub days before. Boston Police Commissioner William Evans said that Daniel de Abreu and Safiro Furtado, both Cape Verdean nationals, were “two young, innocent victims”, according to the Boston Globe. A former tight end for the Boston-based New England Patriots, Aaron Hernandez was dropped from the Patriots – and his $40 million contract – shortly after his arrest in June.